How would you rate your experience with ScotteVest ? 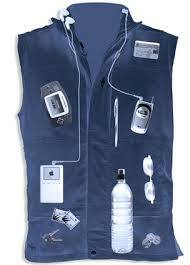 The ScotteVest was founded in Chicago, Illinois, by Scott Jordan in 2000. 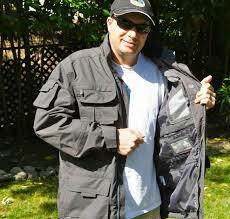 Jordan found that most jackets had only two pockets, which were not enough for all of his tech devices. The ScotteVest is similar to a fisherman’s vest, but with more pockets, designed for holding a wide range of items, such as cell phones, small tablets, business cards, and eReaders. Some styles have 42 compartments. Other designs incorporate flexible, detachable solar panels, designed to be used to charge gadgets, as well as seams that allow headphones to be threaded through them, preventing hanging cables from being caught on door handles or other items. In December of 2013, the company estimated sales would hit $10 million, most of it from their website. In January 2018, Jordan made a Facebook post stating that he advertised on Fox News because their viewers were “extremely gullible and f***ing idiots.” Jordan later removed the post. Jordan has made new airline baggage fees a big selling point, stating that if you pack correctly, you can get by with one check on bag, your carry on, and one of his vests. Headquarters for ScotteVest are located in Ketchum, Idaho. Question 1: What is the phone number for ScotteVest? Answer 1: The phone number for ScotteVest is (208) 727-6700. Question 2: Who is the CEO of ScotteVest? Answer 2: The CEO of ScotteVest is Scott . Question 3: Who founded ScotteVest? Answer 3: ScotteVest was founded by Scott and Laura Jordan in 2000. Want to make sure ScotteVest sees your comment or complaint?